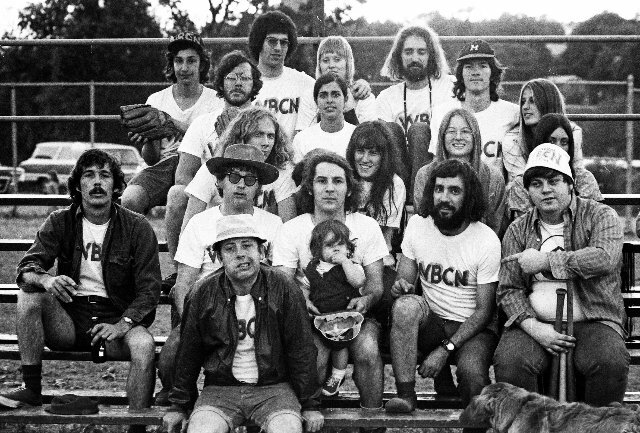 The WBCN softball team. Images courtesy of the film with permission. Peter Simon photo. Straight guy Al Perry with a tie in the studio surrounded by freaks. David Bieber photo. Perry reaching out and taking case of business. Ray Riepen was largely responsible for launching counterculture media in Boston. 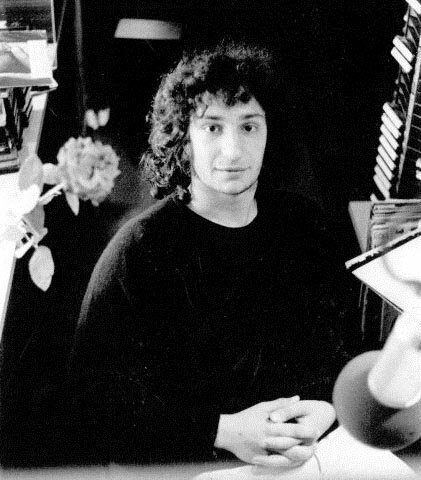 Bill Lichtnenstein was just a teen when he started at WBCN. Don Sanford photo. Charles Laquidara takes a call . Where the magic happened. Peter Simon photo. Inventor, visionary and eccentric, T. Mitchell Hastings, launched WBCN (Boston Concert Network) in 1958 as one of several classical music oriented stations. Largely automated and absurdly out of sync they closed until there was one. As former DJ Ron Della Chiesa told me, Hastings was constantly experimenting with programming from religion to easy listening. In 1968 the station was running out of options. By then Ray Riepen, a Kansas based attorney then graduate student at Harvard Law School, had bought out a partner, David Hahn, and was sole owner of a rock club The Boston Tea Party. He bought shares in the foundering FM station and convinced the board to experiment with rock formatting. On March 15, 1968 Joe Rogers, AKA Mississippi Harold Wilson, played, “I Feel Free” by Cream. On August 12, 2009 Bradley Jay in a nod to history signed off with “I Feel Free” and Pink Floyd’s “Shine On You Crazy.” Those were the bookends for The Rock of Boston. 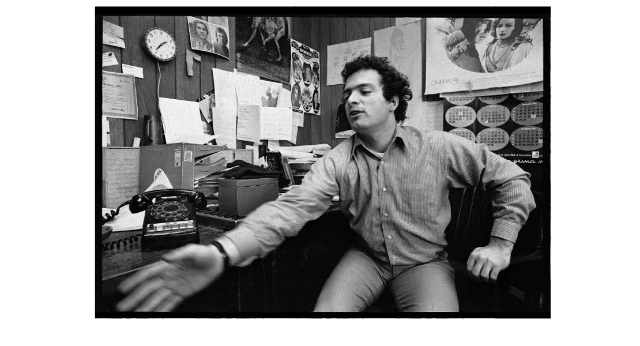 In addition to Rogers other founding DJs were Sam Kopper, Norm Winer, Jim Parry, Peter Wolf, J.J. Jackson, Tommy Hadges, Steven Segal, and Al Perry. Maxanne Sartoti was recruited from Seattle and became legendary for breaking bands like Aerosmith. The party is over for The American Revolution, but through ups and downs it was a hell of a ride for one of the most innovative and influential stations of its era. For loyal listeners, largely from Boston’s flux of some 250, 000 students at 80 plus colleges and universities, more than a radio station, WBCN was brother and sister, friend and family. 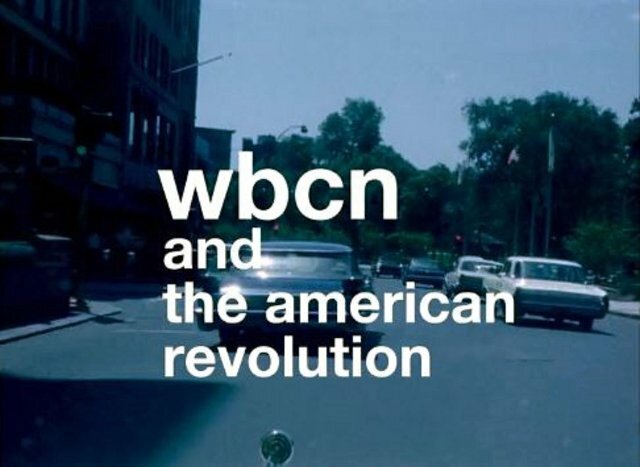 The legacy rolls out vividly in the just over two hour documentary film WBCN: The American Revolution. In its first public showing at the DC Independent Film Festival it was named Best Documentary Film 2019. 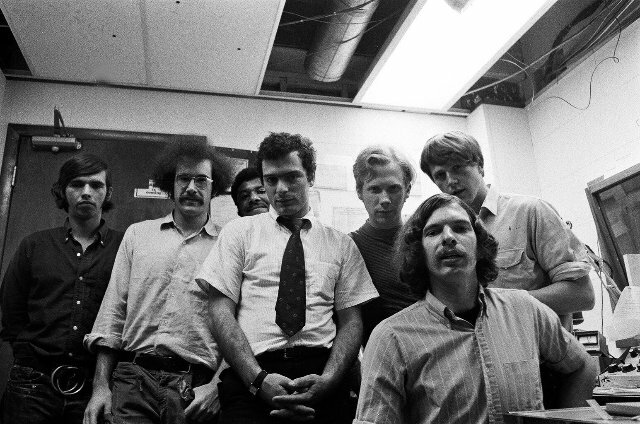 The director, Bill Lichtenstein, was just 14 when he volunteered for ‘The Listener Line.’ He was tasked with an assignment that earned him an upgrade to working for radical News Dissector Danny Schechter. Soon Lichtenstein had a Saturday night show targeting young listeners. In a 2006 interview with The Boston Herald he announced plans for the film. Starting from scratch, the article appealed to fans and collectors to share materials from tapes of broadcasts to photos and memorabilia. 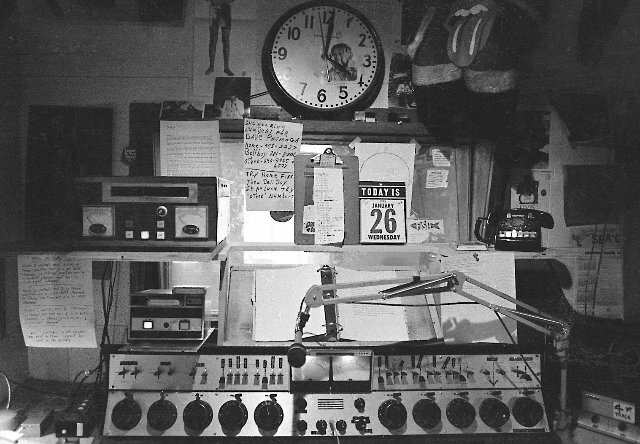 There was no WBCN archive and the station was lax in collecting its many unique on air interviews and performances. Many donations and discoveries led to critical mass and a now considerable archive. One example is a stash of some 50,000 negatives created by former Cambridge Phoenix/ Real Paper photographer, Jeff Albertson. Peter Simon, now deceased, is a talking head in the film. Lichtenstein had access to his images. 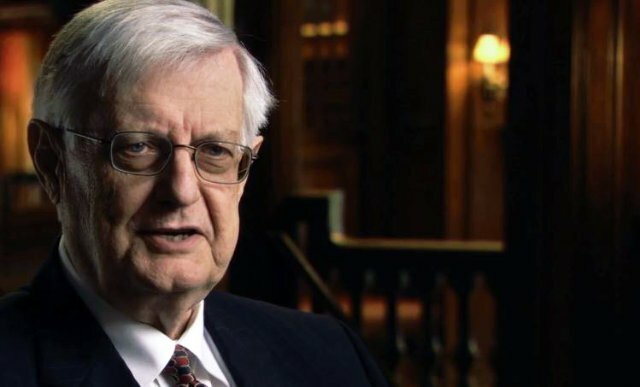 All of the considerable material compiled by Lichtensetein has been deposited at University of Massachusetts/ Amherst through archivist Robert Cox. The million object archive of David Bieber, who appears in the film, was a major resource as well. While WBCN was the vibrant sound track for a generation coming of age in Boston the ambitious film reaches far beyond nostalgia, feeling groovy, and a trippy stroll down memory lane. The film will connect far beyond the suburbs of Beantown as it is set against the social and political turmoil of protest and resistance to the war in Vietnam. Threading through the fabric of telling the story of an underground, album-oriented radio station is the whole cloth, crazy quilt of gonzo zeitgeist. The thesis of Lichtenstein, as he told me, was that the “torch of the counterculture was passed from San Francisco to Boston in 1968.” It got ugly that summer when “the pigs” started evicting “unwashed, unshaved hippies” as a City Councilor describes them in the film. In a pre internet era WBCN was the equivalent of social media getting the word out as demonstrators swarmed on Boston Common and gathered in Harvard Yard. Schechter, now deceased, vividly describes occupying Harvard University offices and ransacking its top secret files. Through the SDS edited paper, The Old Mole, pro war communications with the CIA were published. There were similar protests at MIT which was in bed with the military industrial complex and its development of weapons of mass destruction. The film is also explicit in conveying the cultural revolution and avant-garde strategies of the station and its activist DJs. 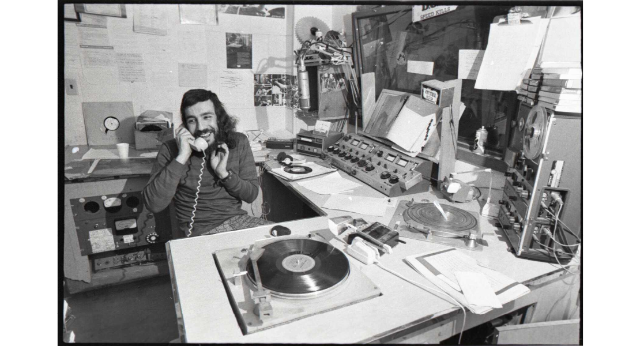 Amazingly, Riepen, with Hasting tucked away in a corner office, gave free rein to djs not just to play what they wanted but to decide on what ads were to be aired. They wanted to create great radio and screw the ratings. It’s amazing that the station survived as it shunned ugly, stupid-jingle national ads. Riepen and later Station Manager, Al Perry, humorously recall numerous apologies to the FCC for incidents of on air obscenities. It was a challenging, cat and mouse game for DJs to break rules and see what they could get away with. That included playing subversive tracks by Jefferson Airplane, John Lennon and other artists. The mostly local ads were so clever that people actually listened to them. By revolting against tight Top 40 playlists WBCN DJs were breaking local bands like Aerosmith, J. Geils, Boston and Cars, as well as Jethro Tull, Queen and the British Invasion. Boston with its combo of Tea Party, WBCN, and alternative press- Avatar, Broadside, Fusion, Boston After Dark/ Phoenix, Cambridge Phoenix, Real Paper- was a break out town for rock, counter culture, and revolution. The recording industry caught on and was a major resource for advertising revenue. Radio and print media expanded but by the 1980s became ever more mainstream, boring and predictable. Syndicated Howard Stern took over the legendary morning Big Mattress slot of uncanny alchemist and Prince of Mayhem, Charles Laquidara. The film opts not to follow the inevitable endgame of all we believed in. We truly thought that we could change the world. With Vietnam as subtext the film tracks from the rise of counterculture to Watergate and the resignation of Richard Nixon on August 8, 1974. That’s the sweet spot, fastball down the pipe and middle of the plate, that this exhilarating film swings at. It lofts one over the Green Monster and beans a rube titubating along Landsdowne Street. As they say never hip a square. Sure, the film runs long, particularly for out of towners, but it is crammed with highpoints and stunning insights. It captures most but not all of the heavy hitters. Those that are in the lineup, however, take their cuts. We were particularly taken with multiple appearances by the legendary, enigmatic, visionary Ray Riepen. This film and much of the counterculture being rediscovered and celebrated would not have existed without him. At the peak of power and influence he cashed in his chips and left town. If it takes a village this masterful film by Bill Lichtenstein is about all of us. Like the half million at Woodstock there are millions more that swear they were. They saw the movie. Maybe that will be the case for this film as well. If you were too young to be there you can groove on the good vibrations. An amazing number of people made contributions, great and small, to make what will prove to be an iconic film. I watched it several times and it just gets more interesting. Catch it if you can. "As I wrote to Bill a few months back, I used to drag race up and down Comm. Ave. on Saturday nights back in '68,'69,', all the while listening to Charles late nght. The trailer for this film is correct when it claims "you could hear WBCN even if you had no radio, because it was blaring out of dorm rooms all over town". The best years to be alive. Hot rods, street racing, and of course WBCN for the music !!" "Oh, if I see this film, I know I'm gonna want to go back. Had to look up "titubating," though"